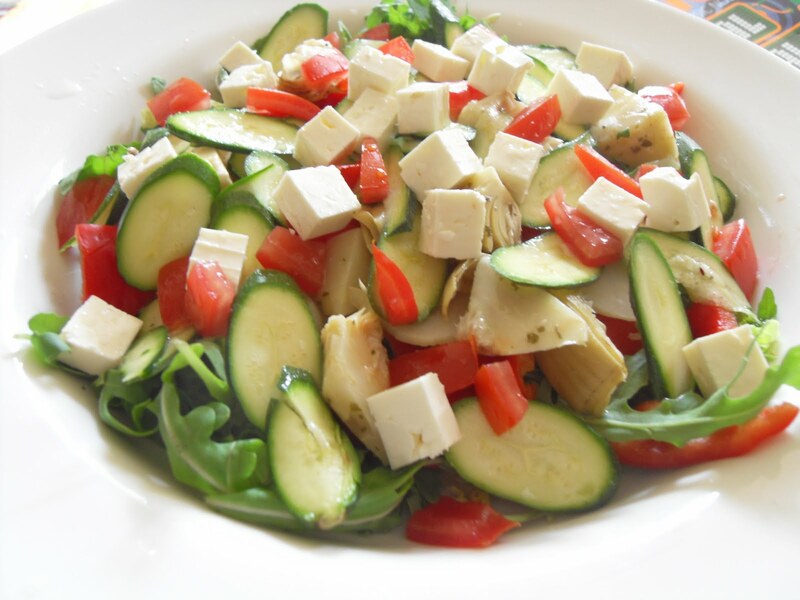 This is sort of a twist on the classic Greek salad and goes with anything that type of salad does. It’s really fresh and light and is great balance to anything rich and oily….a plate grilled sardines is a beezer with this. 1/2 block of Feta cheese ripped, crumbled or diced – whatever you want. The only dressing you need on this salad is a couple of glugs of olive oil and a squeeze of lemon juice – that’s it.